By "Clever," I mean you'd have to research in order to figure out that it makes sense.I have found two notable ones, and I'm surprised at how clever the names truly are! DEOXYS: Deoxys is known as the "DNA Pokemon," and its name is derived from the long name of DNA: DEOXYribonucleic Acid. It also says in its Pokedex that it underwent a transformation due to a virus. This is a mutation, and is very common in developing DNA. Mutating DNA is the reason why some babies are born with problems and deficiencies. PORYGON: Porygon is the "Virtual Pokemon," and its name is a play-on-words of the Stereotypical way that Japanese citiczens pronouce their L's as an R instead. This results in the intended name of "Polygon," which is a digital term used to described a shape with several sides, but no defined shape type; basically a random shape that you wouldn't call a triangle, square, diamond, pentagon, etc. Have any of you noticed other funny names like this? Ninetales is inspired from the Korean, Chinese, and Japenese legend the nine tailed fox. Apparently the legend and the pokemon are nearly the same if you touch the tails you get cursed. I think you'll find that polygons are figures with at least 3 straight lines and 3 angles - although typically 5 of, or more, of each - so triangles, squares, diamonds and pentagons are all polygons. here are a few if you want to get into etymologies. You can check any pokemon's profile on Bulbapedia to see how their names came to be. Typhlosion- His japanese name is bakphoon. Baku is japanese for "explosion" and phoon is from Typhoon (or hurricane) so combine TYPHoon with expLOSION and you get Typhlosion. Devoir means Homework in French. So Gardevoir's name in translated english would be Guardhomework....?!?! Guess if you have a Gardevoir you can't say "My dog ate my homework", eh? Kamehameha = Gok......... wait whaaa? Ekans/Arbok being Snake/Kobra, like BomberGun mentioned. One of the more obvious ones: the family of Abra, Kadabra, Alakazam! Hitmonlee and Hitmonchan were based on Bruce Lee and Jackie Chan. The "Lux" in Luxray is a unit of brightness. Dusknoir comes from dusk and the French for black/dark which is "noir". Vespiquen comes from "vespine" (referring to wasps) and the "quen" bit is like "queen", referring to that fact it's female-only. I've been looking at every Pokemon name, and right from Bulbasaur ("Bulb", as in a young flower, and "saur," as in a dinosaur) to Arceus ("Arc", defining the highest, or its name deriving from "Archaic," meaning ancient or sacred), I can see some kind of link to them. 'the ''queen'' bit' doesn't refer to the fact that it is female-only but rather to the queen-bee of individual hives. The evolution from Combee to Vespiquen suggests a rise up the hierarchy of a wasp/bee colony. None of these are "clever" in the way that you need to look them up in order to understand them. and the opposite of muk is.. I have a feeling there is a lot of innuendo in that conversation.What is "Opposite of Muk"? There is the central city in Iraq called Qom,Qum, and Kum....but really why would it be funny if shiny MUk was white? whats the opposite of muk though? • Ruby, Sapphire and Emerald have the same first letters as Raikou, Suicune and Entei. • Rotom is motor backwards! 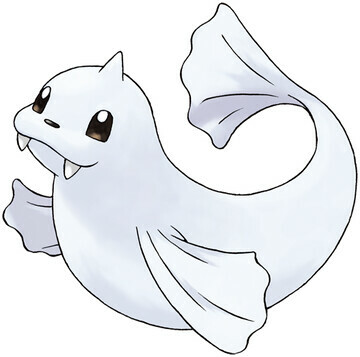 • Dewgong is based off an animal in real life named Dugong, and actually look similar. • Girafarig spelled backwards is Girafarig! • Golduck isn't even gold, but Psyduck is (yellow). • Mareep's name: Mary and Sheep or, Mary and her little lambs! This isn't related to Pokemon names, but every town in the Kanto region is named after colors, while Pallet Town is the pallet (artist tool for holding paint) for all the colors, and also where you begin your journey. OMG that makes me think: If Missingno. is suposed to be the 4th Legendary bird(water type) its name would be "Aquatro"
Very long, not all from one source, yes a lot of it is copy pasted, but about one eighth isnt. Lapras derived from its Japanese name "Laplace" named after a scientist who studied the waves. Wynaut derived from the phrase children commonly use "why not?" Jirachi - Russian word for "wish." Hydreigon Hydra, in Greek mythology, was a monstrous fire-breathing dragon that when you cut of a head, two more grew in its place. Hydreigon may have had two heads and then one was cut off, and that explains his Head-Hands. Hydra-Dragon! Magneton-His is based on the "Bohr Magneton," which in physics is the unit of Magnetic moment. Gengar-I believe this is the based on the word "doppelganger," since he's based heavily on illusions. Ho-oh-He's based on the chinese Fenghuang bird, one of which is called Hōō. Marill -This is derived from the latin word "Maris." (also meaning sea) Since spanish is a romantic language, that one isn't that big a deal. Hehe Squirtle. So much pun. It also has the German "drei" in the name, which means "three." The pre-evolved forms, Deino and Zweilous, have "ein" (one) and "zwei" (two), respectively, in their names. i really would like see that page! Now we have the pokemon name origins and everyone can find every pokemon with clever name . An ape isn't a monkey. Like fruits and vegetables. All monkeys are apes but not all apes are monkeys. Actually,Magmortar is a combination of Magma and Mortar,which is a cannon-like weapon. Genesect probably refers to Genesis(I believe that means first) and insect,or Genocidal Insect(That is my conclusion). Also,Eevee and Eeveelution sounds like evolve and evolution,and Eevee has the most evolutions of any pokemon, all eveelutions names end in eon,so perhaps it is reffering to the theory of evolution,which supposedly took "eons" to do(evolve). Hydrogen refers to the element which is one of the three major elements needed for life to be possible, and is a hydra, and a Dragon,gen being Dragen which i think is Dragon in another language not sure. Another relation w/ bisharp and pawniard is that pawniards are "pawns" and bisharp are the "bishops" leading them. Yeah, it's kind of like in chess. This pokemon should have had an alternate 3rd evolution, one thing if it's female, and another if it's male. Yep. King- for male, and Queen- for female. The three regis all have a mineral at the end of thier names. The legendary bird trio's names end with 1-3 in Spanish. Kangaskan is based on Ghengis Khan. His name means universal. Hitmonchan/lee are based on Jackie Chan and Bruce Lee. Sudowood is pseudo and wood. I think when he was first introduced into the game peiple thought he was grass or something. Pseudo = fake. Wood = wood. has anyone done Arceus yet? It's got the Latin "arc" (meaning "high") and the eus from "deus" (meaning "god"). So, Arceus is literally "high god." And adding onto the ferroseed/thorn thing someone mentioned, the "ferro" might be closer to being related to "ferrum," the Latin word for iron. But again, I believe this very site includes the name origins of the Pokemon names. Cleverness is to be determiend by peers. Im surprised no one has added these 2 yet. This has a full list of the Pokemon name origins, known as etymology. Keromatsu (Froakie) - ケロ (kero) is the noise a frog makes in Japanese, and 沫 (matsu) meaning foam/ bubble. Harimaron (Chespin) - 蝟 (harinezumi) meaning hedgehog, 針 (hari) meaning needle (like the little tufts on Harimaron's head), and marron, which is French for chestnut, hence the English name Chespin (Chestnut/pin). Fokko (Fennekin) - 狐 (ko) meaning fox, fuoco (Italian; fire) and 子 (ko) meaning child. Fennekin is obviously based on the fennec fox. Kojondo (Mienshao) - "shao" as in Shaolin, and Kojondo being a mix between Taekwondo and Kokondo. Zorua - Zorro is Spanish for fox, and rua is Irish for red. Mijumaru (Oshawott) - 未熟 (mijuku) meaning inexperienced/ not yet matured, and 丸 (maru), which is common ending/ character in names. Thought I'd post some that weren't up. To be honest, most Pokemon names pertain to something that defines their characteristics/ design, you just need to look closely. One I've noticed is Ferroseed/thorn: farro is a grain that is made up of certain species of wheat in it's whole form. the only reason I know farro exists is because my family is crazy and vegan! Is there a correlation between all the girl characters names in the show? Why are there so many characters named after plants?